Author: Biker Joe Subject: Mini Eclipse Posted: Wed Apr 10, 2019 11:57 am (GMT -7) Topic Replies: 0 Any chance of a Suhr mini eclipse pedal? Voiced like the current eclipse, 1 channel, and somehow with a 3 band eq? Not sure it's possible to fit it all in. But would love it to go along with the mini riot. Suhr Guitar Talk :: RE: How many Standard Plus could be out there? Author: CaptNasty Posted: Mon Apr 08, 2019 5:00 am (GMT -7) Topic Replies: 2 Basing an estimate like that off of Retail Price gives an inaccurate view. There are plenty of brand new production Suhrs in the $2,000-$3,000 price range. Suhr probably charges ~$500-600 lower than that to retailers. Suhr Guitar Talk :: How many Standard Plus could be out there? Author: alternatiwe Subject: How many Standard Plus could be out there? Posted: Sat Mar 30, 2019 6:07 am (GMT -7) Topic Replies: 0 Hi, I'm just curious about the numbers of the produced Suhr guitars out there. Is there any statistic where I could see how many guitars been produced in 2018? Or how many is been produced in an average month? Author: JohnnyFavorite Posted: Mon Mar 25, 2019 3:51 pm (GMT -7) Topic Replies: 2 A kind reply from Tristan @ Suhr pointed me in the direction of this: https://www.visionguitar.com/collections/electric-guitars/products/suhr-custom-standard-hss-electric-guitar-black-pearl-maple-neck Looks very good! 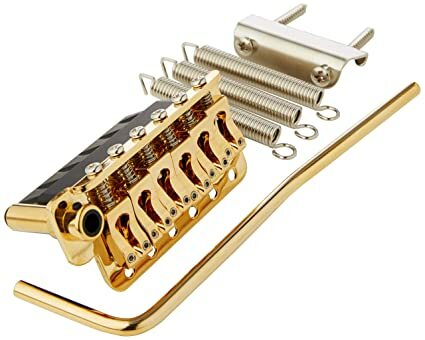 Suhr Guitar Talk :: RE: Dull sounding low E, worn out brass saddle on my T? Author: CaptNasty Posted: Thu Mar 14, 2019 5:29 pm (GMT -7) Topic Replies: 3 Received the guitar today. Wow. Really nice guitar and plays really nice. My Custom Shop Jackson DK1 and my Suhr are now competing to be my go to Axe. Author: Organic Posted: Wed Mar 13, 2019 4:26 pm (GMT -7) Topic Replies: 1 That vulcanized maple neck looks great! Author: CaptNasty Subject: First Suhr Posted: Tue Mar 12, 2019 7:19 pm (GMT -7) Topic Replies: 0 Hello everyone. Just picked up my first Suhr. It arrives this Thursday. A 2010 Suhr Modern Custom finished in Lexus Metallic Pearl. View Pics Here (These are not my pics, this is the sellers IMGUR album) Pretty stoked to get my hands on it. Suhr Guitar Talk :: RE: Third-party case for Modern? Author: Organic Posted: Tue Mar 05, 2019 4:53 am (GMT -7) Topic Replies: 1 I've seen John recommend Gator. It is my understanding that Suhr used to work with SKB but had a falling out with them and no longer recommend their products. 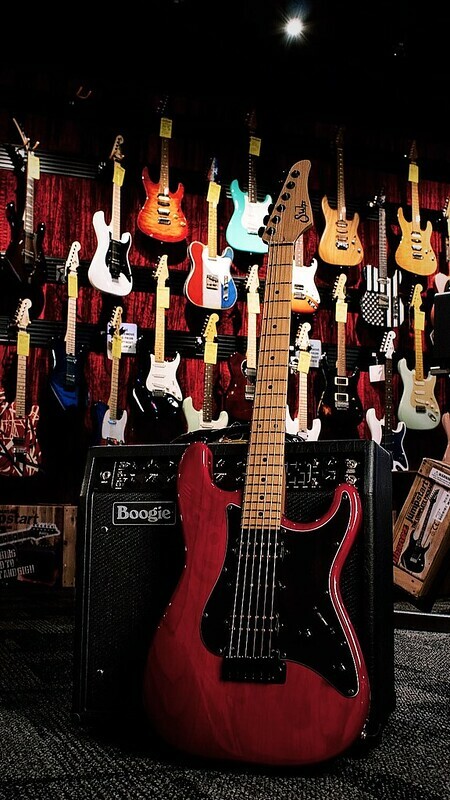 Suhr Dealers :: Suhr Custom Classic! Suhr Guitar Talk :: RE: Who own's Suhr Guitars? Suhr Guitar Talk :: RE: WTH? Suhr Dealers :: Suhr Standard - Bengal Burst - 3A Roasted Birdseye neck!